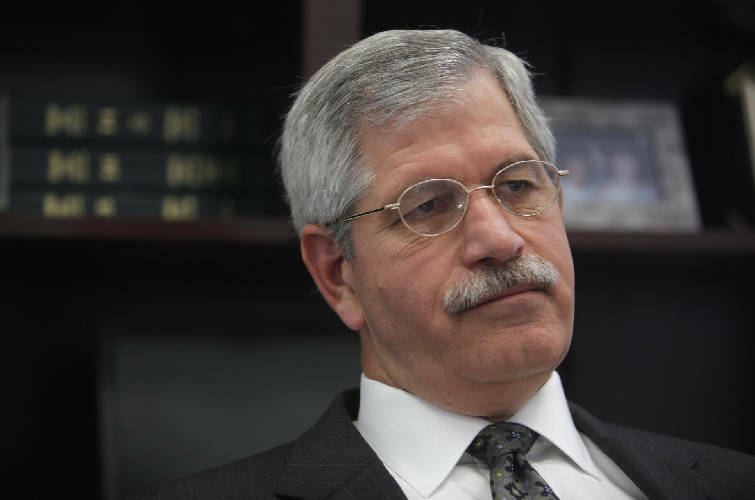 NASHVILLE - Seeking to face down concerns from Tennessee educators and state lawmakers, Gov. 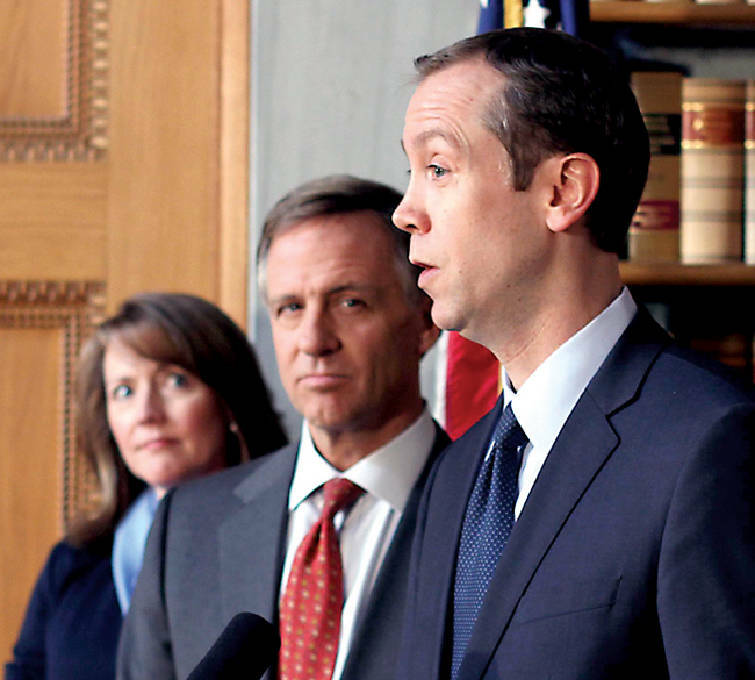 Bill Haslam and state Education Commissioner Kevin Huffman are defending the state's new teacher evaluation system but concede the controversial program is not without its flaws. "The system is not perfect, but it is a significant step forward, and the first step in an ongoing effort to refine and improve evaluation and support for educators," Huffman wrote in an email sent to educators, obtained by the Times Free Press. Noting the evaluation system was a key factor in Tennessee winning a competitive $500 million federal Race to the Top grant, Huffman said, "We continue to view the evaluation system as a critical foundation for our collective work to improve student achievement." Haslam spokesman David Smith said "the governor understands there are concerns about the process, which is to be expected in this early implementation phase, and the Department of Education is working with educators to address issues." Smith said the administration "has no plans to change the evaluation system and believes that high standards and rigorous accountability measures play an important role in our ongoing efforts to improve education statewide." The new evaluation system is being implemented this fall in the state's 136 school systems. They will determine tenure for new teachers as well as whether longtime teachers can keep their tenure protections. Under Tennessee's Race to the Top legislation, passed at then-Gov. Phil Bredesen's urging in 2010, as well as subsequent rule-making, half of evaluation scores come from at least four classroom observations of teachers. Teachers without tenure are to have six visits from school administrators. The other 50 percent of an evaluation is based on student achievement with 35 percent based on student test results and 15 percent on other factors. Earlier this year, GOP lawmakers at fellow Republican Haslam's request, passed legislation tying teacher tenure to the evaluations. Many Democrats objected, saying it should be delayed until the Education Department tested the process. Now, with the evaluation portion under way, teachers, principals, lawmakers and at least two school boards are raising questions about the classroom observation portion. Tennessee Education Association chief lobbyist Jerry Winters said teachers "are about as frustrated as I've seen them, and it's tied almost totally to this evaluation system." "They tell me to a person they're not afraid of accountability, but they just don't have confidence in this system," Winters said. He said principals, who are responsible for the personal observation portion of the evaluation, worry "they can't get this done" because they are "swamped by other responsibilities." Concerns led earlier this week to the Murfreesboro City School Board joining with the Rutherford County School Board and firing off a letter to Huffman. "I think there have been enough complaints about the time it takes that the state is willing to listen," Murfreesboro Schools Director Linda Gilbert told The Daily News Journal in Murfreesboro. "I doubt if anything changes this year, but if something does change, how long principals spend in the classroom with teachers who have proven to be effective would be something." In an email recently sent to teachers in his Rutherford County House district, Rep. Rick Womick, R-Rockvale, said "it has come to my attention [from teachers] that the new teacher evaluation system is an apparent 'disaster.'" Womick said House Speaker Beth Harwell, R-Nashville, and Senate Speaker Ron Ramsey, R-Blountville, met with both Haslam and Huffmann "to completely overhaul or change the new teacher evaluation system." Haslam spokesman Smith said there was no such meeting with the governor. Lt. Gov. Ramsey "has already spoken privately and extensively to the commissioner about this issue," Ramsey spokesman A.C. Kleinheider said in an email. In a statement, Ramsey said, "many in my caucus share [Womick's concerns]. It is my understanding that Commissioner Huffman is currently working hard to dispel some persistent myths and misinformation by communicating directly with classroom teachers." The commissioner is meeting with at least some school boards as well. Calling the evaluations "key," Ramsey said he is "committed to doing everything in my power to see this reform is implemented effectively." Harwell said she has made arrangements to speak with Huffmann after "hearing concerns from members of the caucus, not all, but a few. We're looking into it. I think our caucus is 100 percent committed to the evaluation process. It's needed and it's the only way [to] raise standards." "Anytime you implement a new program there's some wrinkles," she said, suggesting "some tweaking" might be needed. Rick Smith, superintendent for Hamilton County Schools, discusses education in his office. One area where the state isn't hearing much complaint is Hamilton County Schools. After receiving state permission to test pilot its own classroom observation program, Project Coach, the system used the program last year at 76 of its schools. "I think the key for us is that we took the initiative to pilot last year, which allowed us to work out some of the issues you know you have to work through," Hamilton County Superintendent Rick Smith said. The system, which is using six classroom observations for tenured teachers and eight for beginning teachers, quickly discovered teachers and principals had to set up "pacing schedules" to ensure things remained on track, Smith said. The central staff can monitor progress in real time. Hamilton County Education Association President Sandy Hughes said the teachers group and administrators worked to ensure kinks were resolved. Teachers got feedback on an ongoing basis about steps they needed to take to ensure better results. "We're getting very few calls of concern," Hughes said. "Usually, it's a concern I can call in and address." Hughes said from her perspective, "it's been a very positive experience for our teachers so far."